We are leading manufacturer, Importers and Service Provider of Stripper Systems and our product is made up of good quality. In Waste water application, Stripper column can be used to remove COD percentage from the Effluent. It will recover 90 percent of low boilers from waste water Effluent. 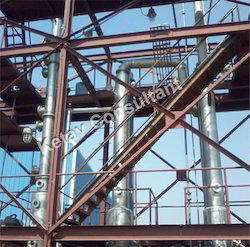 This system can also be used to recover pure solvent from the process fluid.